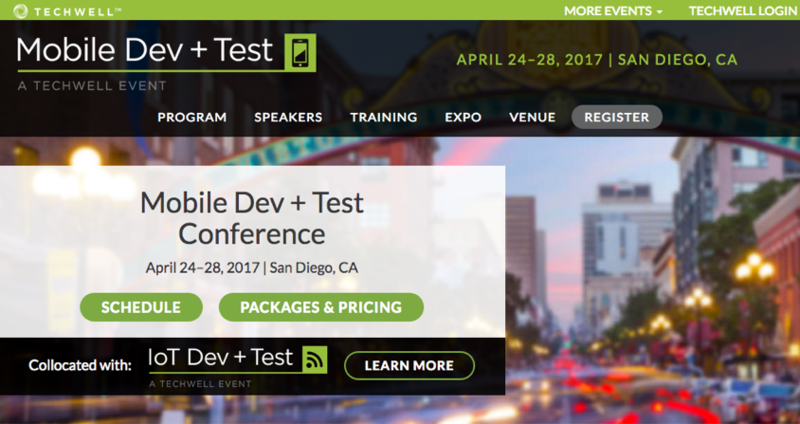 There’s only 7 weeks left until the Mobile Dev + Test conference, being held April 24-28, 2017 in sunny San Diego. But it’s not too late to attend. TechWell conferences is extending an additional discount just for you. Between now and March 24, if you register for any conference package you can bring a friend for FREE! That’s over $2,000 in savings depending on the package selected. Use discount code APBOGO17 by March 24 to get this incredible discount offer. Check out all the new software development content available including the NEW 2-day training course added this year, Kick Start Your Android Development. Learn to use Gradle, and Android Studio IE to develop Android applications, and more. 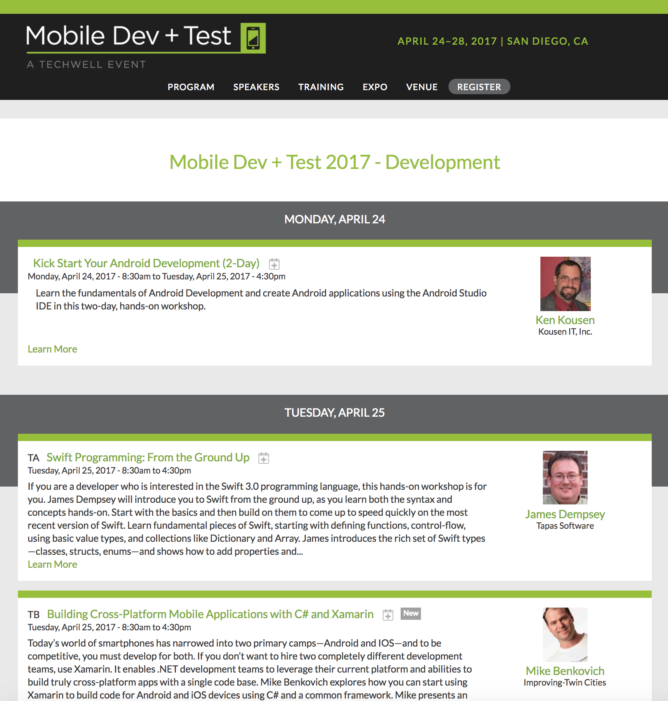 To explore the mobile and IoT software tutorials, keynotes, and sessions, view the full Mobile Dev + Test schedule. Register using the exclusive Android Police discount code, APBOGO17 to bring a friend for FREE! If you register by Friday, March 24 you can combine this discount code with early bird savings for up to $200 off this already great discount (valid on packages over $400, discount is dependent on package selected).